Are you looking for a clean-looking casual shoe that will suit your lifestyle needs? If you are, then the new edition of the Jordan V5 Grown Low might be the shoe that you are looking for. Released in different colourways before, the new Jordan V5 Grown Low will come out in a much-cleaner Black White/White-Wolf Grey colourway, which is simple, but elegant like the other colourways of the shoe. 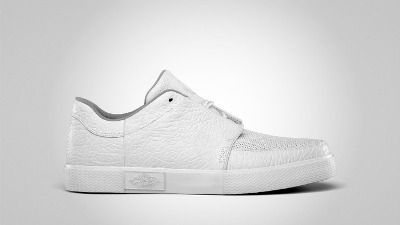 The new Jordan Prime 5 is obviously made of white leather accented with wolf grey on the upper lining of the shoe. This casual shoe will be released next month and it will surely be one of the most sought items in May 2011.